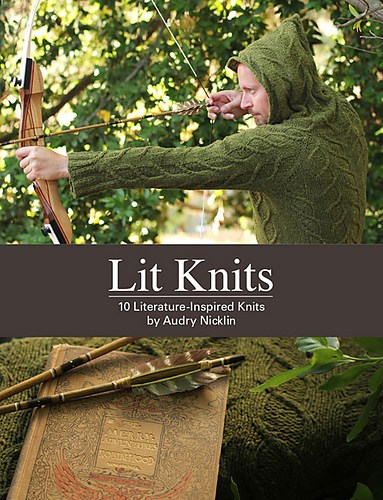 This pattern is part of the Lit Knits collection. The pattern can also be purchased individually. 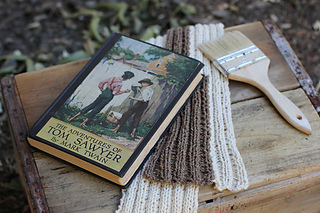 Tom Sawyer is a bit of a trouble maker. He suffers various punishments, which are dealt by his Aunt Polly. The most infamous incident is the time he has to whitewash a long, tall fence. But Tom is a clever boy and soon manages to paint the fence without his wits rather than his strength. 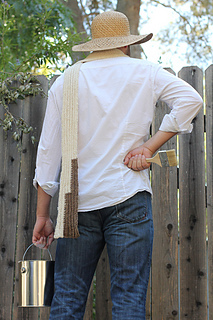 This scarf is inspired by the story, The Adventures of Tom Sawyer, first published in 1876 by Mark Twain. 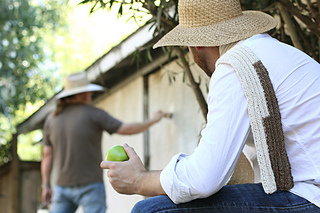 The ribbed scarf resembles the infamous fence Tom had to whitewash. The remaining blocks of brown represents an unpainted bit of fence. 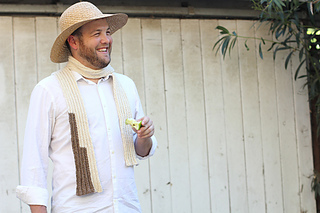 The scarf starts at the two-colored portion. Once the color blocks are knitted, the scarf can be knitted to the desired length. 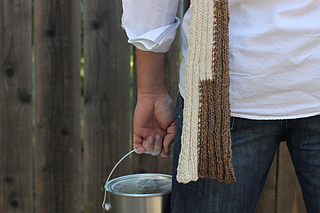 A tutorial for intarsia knitting is included in the pattern.